Having started its life as a Sports Coupe in the Invicta line-up in 1962, the sporty Wildcat received a promotion in 1963 to its own series. As well as the Sport Coupe you see here, the line-up also included a 4-door hardtop coupe, and convertible. Invictor sales had been dropping and with the beginnings of the personal luxury car market off to a good start, it was a good moment to release a bucket seated car with special trim. The Wildcat had managed to kill off the Invicta except for the Station Wagon. This was a plush but sporty Buick. Get behind the wheel of one of these and you know you have some power at your disposal. This particular Wildcat is a lovely example in Bronze Mist with an Arctic White roof. Inside, the Wildcat enjoyed a deluxe steering wheel, all-vinyl interior, bucket seats and a center console (optional on the 4-door version). 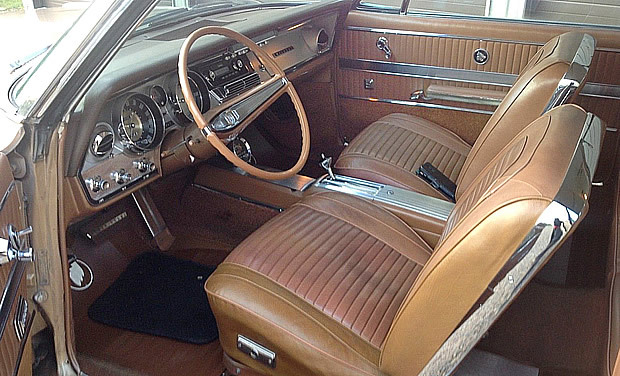 The padded dash was standard. Under the hood the Wildcat is powered by a 401 cubic inch "Wildcat 445" V8 engine with a 4-barrel carburetor outputting 325 horsepower. It was the biggest, most powerful engine Buick had available. The "445" refers the the maximum Torque output. This came standard with a Turbine Drive automatic transmission (as fitted to this car). A 4-speed manual transmission was an option at $32. The original owner of this car ordered it with some great options including: power brakes ($43), power steering ($108), powered windows ($108) and power adjusted driver's seat ($97). 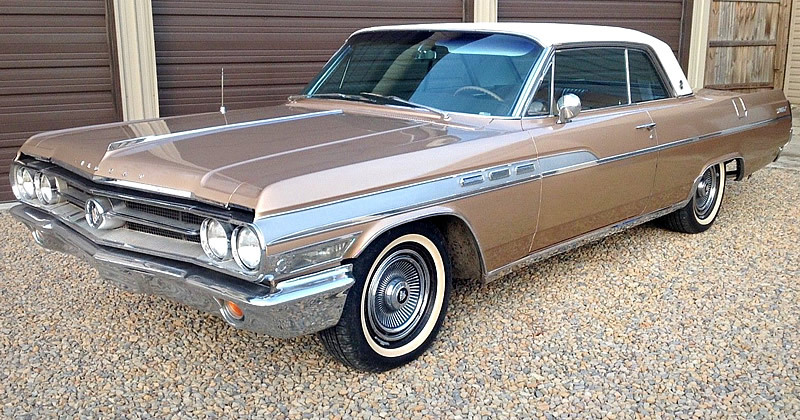 Buick sold a total of 12,185 Wildcat Sports Coupes for the 1963 model year at a base price of $3,849. Hi Mike – this is on auction at the moment. Just follow the link above for current information.